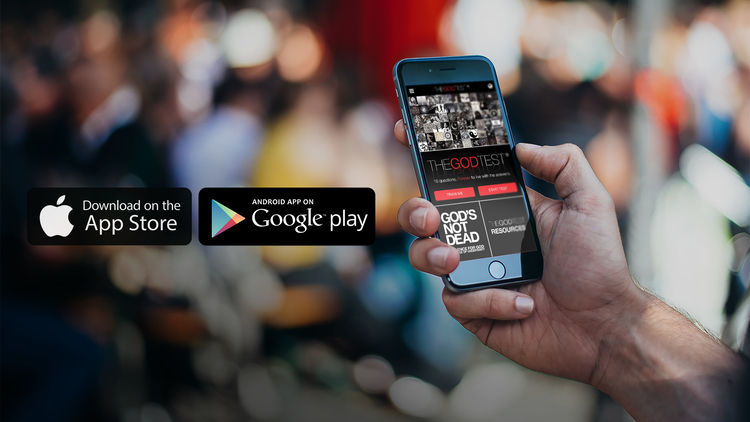 Discovered a fabulous app today– TheGodTest . It’s free and so worth downloading and checking out. Just 10 questions… Designed by Rice Broocks whom I heard speak today. He’s the author of GOD’s NOT DEAD which became a movie, then another, now a third is being release at the end of March. Today’s conference inspired met to get back to sharing my story and encouraging you to tell yours–that had been me and the Covell’s passion for 20 years and why we originally wrote “How to Talk About Jesus without Freak Out”. I just got distracted with the busyness of life. Thank you #RiceBroocks and #GatewayPeople for sharing your story and challenging us to step out of our comfort zones and ask questions.